· Columns require as much as eight times more vertical steel as a wall (1% versus 0.12%). 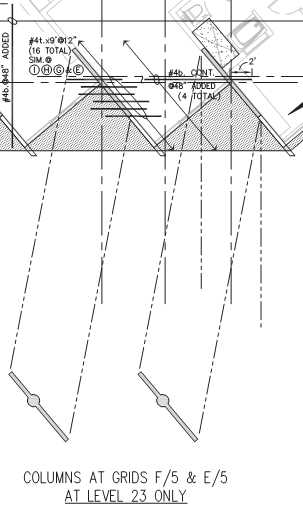 · Columns require closed ties; walls often have a single curtain of horizontal steel. · The minimum dimension of a column for a given fire rating can be significantly more than the minimum thickness for a wall (e.g. 12″ versus 6.25″ on a project of mine). The ACI 318 code is silent on the subject, although it does clarify when a pedestal becomes a column. The Concrete Q&A in the October 2003 issue of Concrete International addressed this question directly. 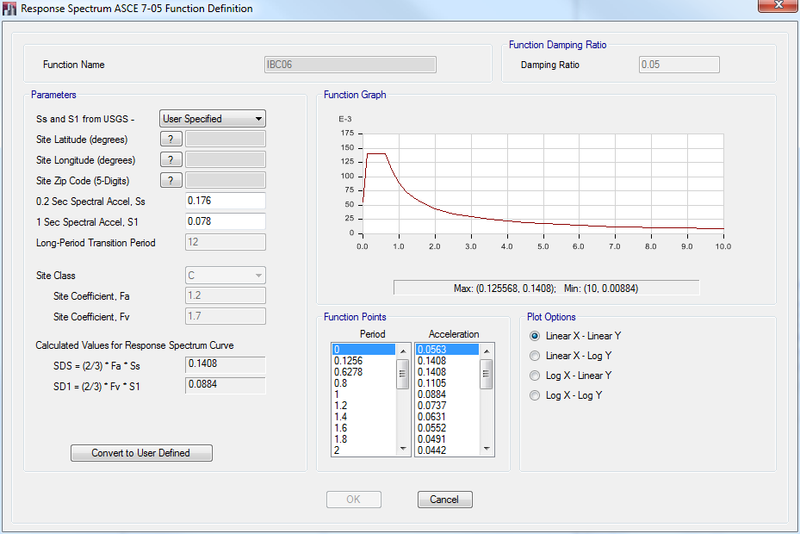 In short, the author confirms that the behavior and design of the section does not depend on the terminology: the equations for axial and flexural design are identical, including the slenderness checks. Ties are required in walls if the reinforcement ratio exceeds 1% (i.e., if it looks like a column) or if the steel can yield in compression (Section 14.3.6 in ACI 318-11 and older codes). In summary: it doesn’t matter much for structural design. What about fire ratings? Neither IBC nor ACI have apparently addressed the fire rating issue, as demonstrated by this thread at Eng-Tips.com. 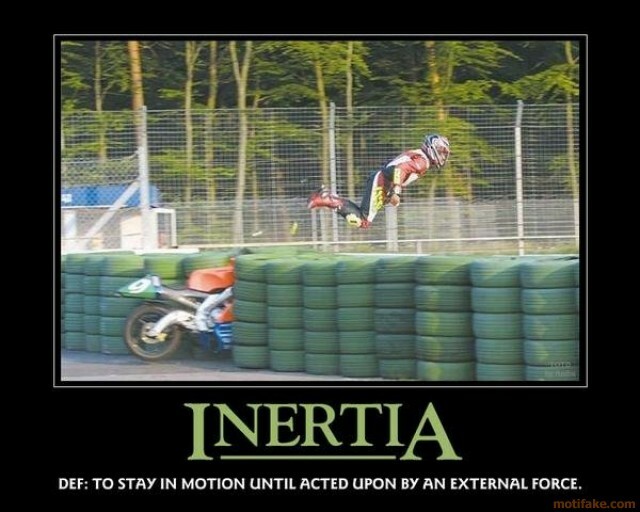 In these cases, my advice is to use engineering judgment and the “believability” test: if a disinterested observer won’t believe that it’s a wall (say, because it’s square in plan), it shouldn’t be a called a wall. My personal threshold is an aspect ratio of around 4:1. Agree? Disagree? Please feel free to add your own thoughts via the comments below. Many thanks to my new friend Triadi, who prompted this post with an email. Not really. I just couldn’t pass up a chance to use a fun word. But there’s a reason buildings don’t have floors labeled ’13’ – apparently people can be superstitious. If learning a new analysis software is like learning a new language, then learning ETABS 13 has been like moving from California to Boston: you can catch the drift, but you’re still wondering what a “cah” is and why it’s “pahked”. The basics are all there, but load cases are now load patterns (not to be confused with the repurposed load cases! 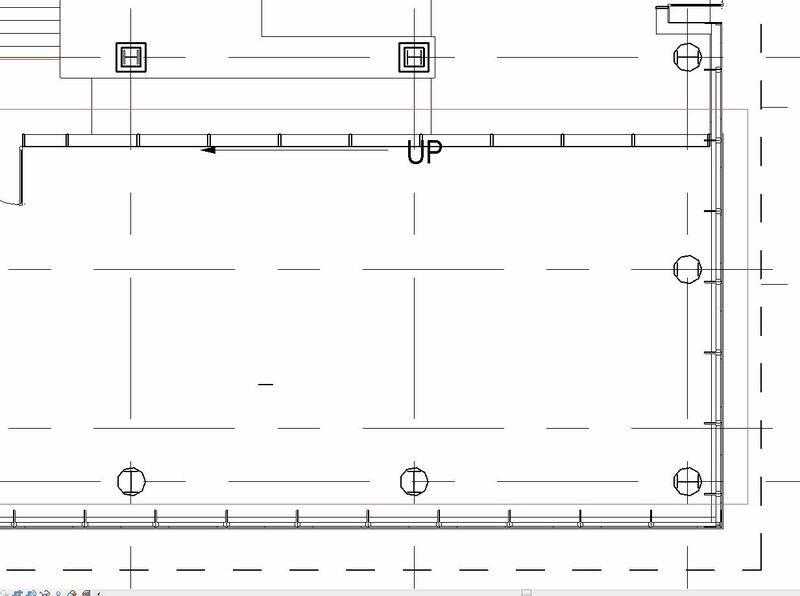 ), points are now joints, towers are now defined in addition to stories, and so on. In other words, the accents are funny around here. I’ll get over this, but it may be after I figure out how to pahk the cah. Dead-end Dialogs – Some of the windows in ETABS 2013 trap the power user, forcing them to reach over and find their long-lost mouse to click through. An example is this dialog that pops up after clicking “OK” in the “Export to Access Database” form: At a minimum, the Escape key should always exit the dialog. Taboo Tab Order – When I hit “Tab”, I expect the cursor to move to the next input box or button. Alas, it often does not. This is a basic usability rule that is violated throughout ETABS 9 and ETABS 2013. Developers: please keep tabs on the tab order. Faulty Focus – When I’m in the flow, muscle memory takes over, but extra key presses force me to think, dramatically slowing me down (thinking isn’t very quick for me, apparently). An example of this is the “Export to Access Database” dialog, where I have to hit Shift+Tab twice to move the focus to the “OK” button before hitting Enter to move on. (And then I have to go through another dialog to choose the units, rather than choosing them in the main window as in ETABS 9.) The default focus should be on the button that moves the process forward and never the “Cancel” button. Killed Keys – ETABS 2013 improved the ability to customize keyboard shortcuts, which is greatly appreciated (and big kudos to CSI for making the Escape key clear the selection). However, a number of keys are now off-limits, including those I use heavily in ETABS 9: Insert (3D view), Home (plan view), End (elevation view), Page up (move up in list), and Page Down (move down in list). I’ve been able to work around this using AutoHotKey, but I would rather not have to. Altered ‘Alt’ – As a companion to direct keyboard shortcuts, Windows programs typically allow a series of key presses starting with ‘Alt’ to dig through the menus to a particular command (for example, Alt-F-E-A opens the “Export to Access Database” dialog). Far too often, though, this breaks down in ETABS 2013: pressing the Alt key does not bring up the underlined letters in the menu and pressing a letter does nothing. The program can be shaken out of its daydream by using the mouse to open a menu, but this defeats the purpose. Also: in ETABS 9, I can press and release the Alt key before hitting the next key; ETABS 2013 seems to require that I hold down the Alt key until the next letter is pressed. This should not be necessary. It’s worth saying again that I appreciate how difficult a developer’s task is and how much great work CSI has done. My comments are offered in the spirit of helping polish my favorite analysis program. So, have you made the switch yet? What frustrations have you found? Tell us about it in the comments! 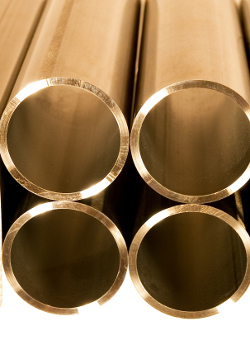 I recently had the privilege of attending the annual conference of the Steel Tube Institute. As a member of the technical committee, I was asked to present a structural engineer’s perspective on why engineers don’t use tubes, er, HSS. The short answer is this: structural engineers, being very nearly human, often choose the path of least resistance. Here (with apologies to David Letterman) are the top ten reasons structural engineers may spurn hollow structural sections. Disclaimer: I’m intentionally playing ‘devil’s advocate’ with these reasons; I routinely specify HSS and even enjoy doing so. 10. Sometimes, concrete makes more sense. We may say this sotto voce among steel tube producers, but steel is not the only structural solution. 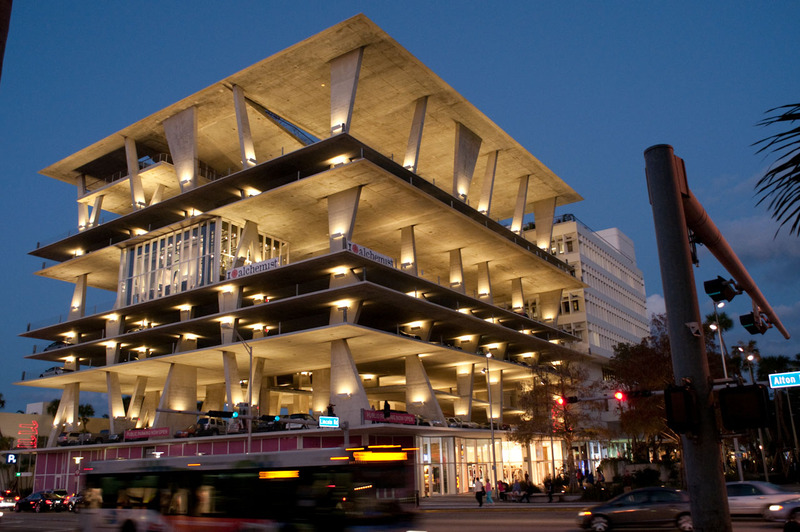 In many cases (such as parking garages), concrete stacks up well against steel of any shape. Can you imagine this parking garage as a steel structure? An object in motion tends to stay in motion; an engineer comfortable designing wide flanges tends to stick with what they know. I did a quick survey of the structural steel textbooks in my office and found scant mention of hollow sections. 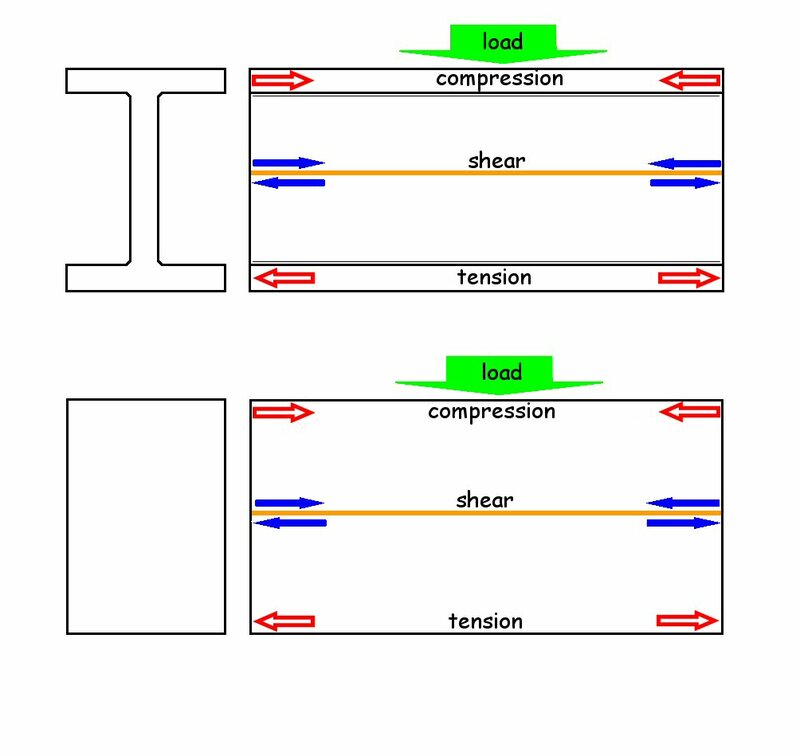 A new engineer will know how to design a wide flange beam, but is likely to have encountered HSS briefly if at all in their schooling. Have you ever seen a composite HSS beam? I haven’t. Wide flange shapes are optimized for strong-axis bending, making them better choices for the most common structural steel element: floor beams. Software defaults carry far more weight than it seems they should. They represent and enforce a status quo, silently suggesting an expected answer while forcing user action in order to take a different path. 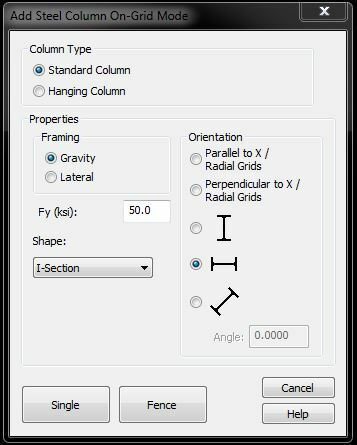 For better or worse, every major structural design software defaults to wide flange columns. Minor aggravations add up. The yield strength is 46 ksi, not 50. Don’t forget the 0.93 multiplier on nominal thicknesses (the producers were too clever by half in hitting their low-side tolerances so precisely). Oh, and should I call them “tubes” or “HSS”? And what does “HSS” stand for again? “This is going to look great! 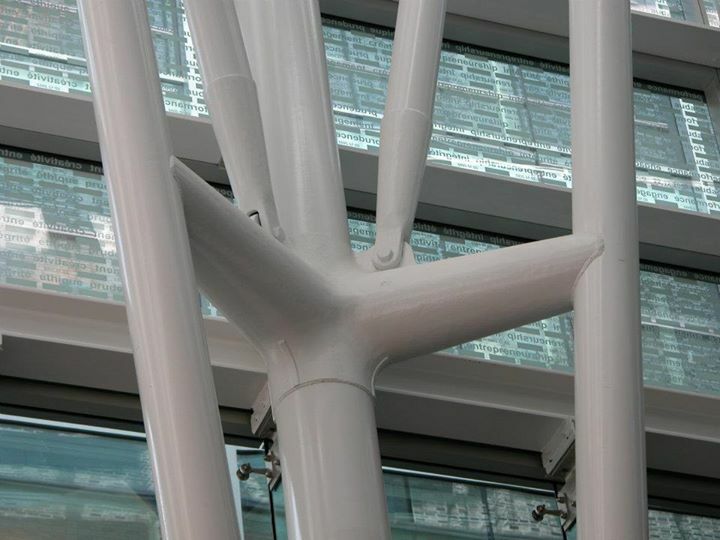 The structural column can be the architectural finish! Everyone will see my beautifully-detailed HSS connections. Wait, what’s that? Fire rating? Have you considered intumescent…right, too expensive. Never mind. Just clad it.” And back to the wide-flange we go. Hollow structural sections run out of oxygen in the column chart hills somewhere around 1000 kips (4450 kN). Adding concrete fill extends the range a bit, but builders tend to dislike mixing subcontractors. For steel buildings more than about half a dozen stories, it is likely that wide flange columns will be required simply due to vertical load demands. As an example, the columns in red in the office building shown below will simply not work as HSS. For better or worse, the perception of HSS is that they are more expensive than wide flange shapes, even after accounting for any reduction in steel weight. I’ve been told this numerous times, although never with hard numbers. Which leads to the obvious question: what is the yield strength of gold, anyway? There’s no way around it: connecting an HSS to another HSS is often far from easy. 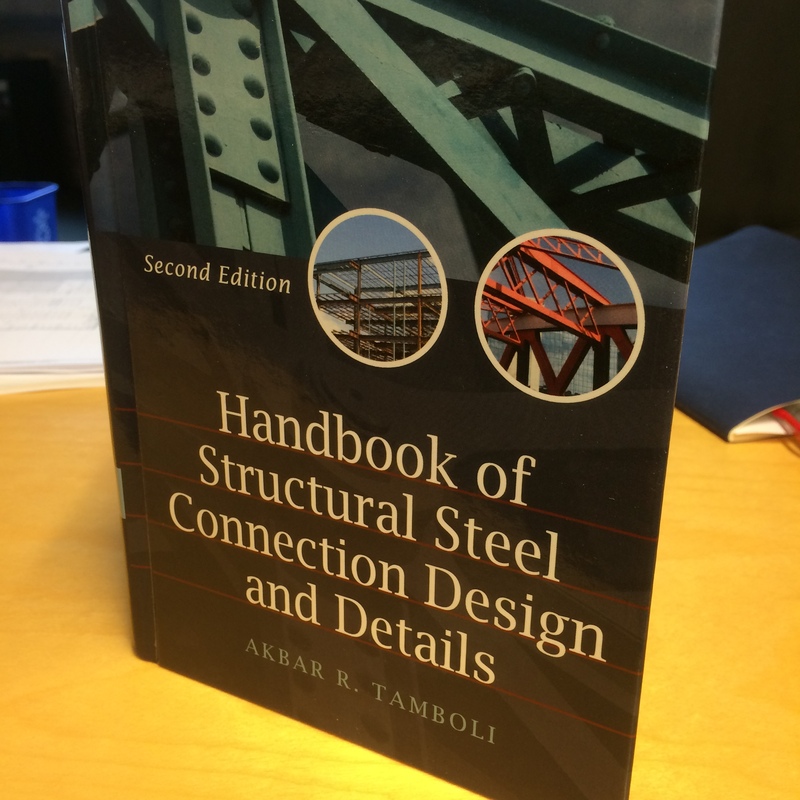 The AISC Steel Manual has long been filled with examples and design values for wide-flange-to-wide-flange connections of all types, but similar information was only recently made available (in the form of AISC Design Guide 24) for HSS-to-HSS connections, which are far more varied. Even the basic terminology of these connections is unfamiliar to many engineers (“Stem? Branch? Where are the leaves?”). This issue, more than all the others, can cause even intrepid engineers to quail a bit when facing a choice of structural shape. So, what have I missed? Leave your comments below! 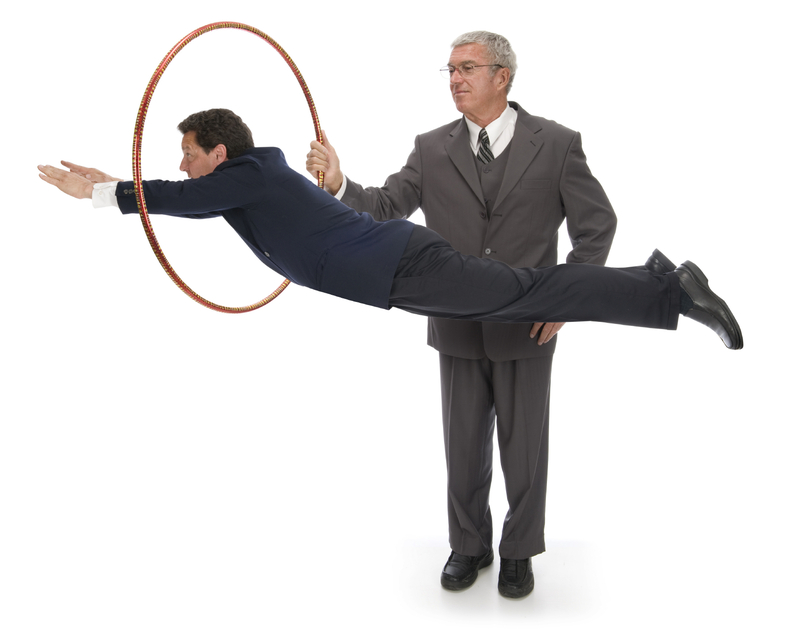 And if you’re a respected sales engineer for a well-known steel tube producer, you’re welcome to play ‘angel’s advocate’ in response. 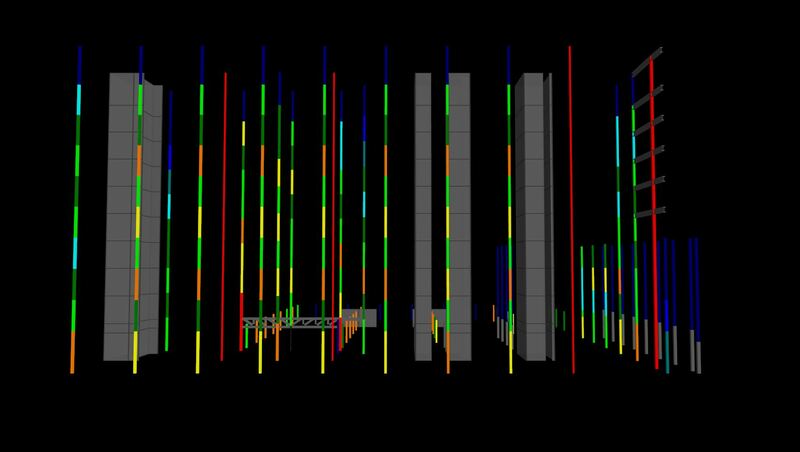 This will occur if you import an ETABS 9 model with an auto-generated response spectrum function (e.g., an IBC 2006 function). ETABS 2013 has three options for finding the Ss and S1 value (latitude-longitude, zip code, and user specified), and rather than logically assuming user-specified, it defaults to latitude-longitude. Then, not having any lat-long data, it throws this error when you try to run the analysis. The fix is easy: simply open the function dialog and set the “Ss and S1 from USGS” dropdown to “User Specified”. Problem solved! If there are other errors you’re seeing when upgrading models, let me know in the comments.